In 1086 (Domesday Book) Fakenham had only 150 residents. Hempton, on the opposite side of the river, was the larger community and had an abbey that played host to pilgrims on their way to Walsingham. Fakenham became the dominant centre when the abbey was dissolved by Henry VIII. It has been a market town since 1250, when it was given a charter. The stalls probably occupied space around the parish church of St. Peter & St. Paul. Fakenham's modern-day Thursday market is still situated very close to its original positioning and around the market place. Its major industry in the 19th and 20th centuries was printing, but the major printworks (Cox and Wyman) closed in the 1970s. Nevertheless, there are still more than ten small printing firms in industrial premises around and near the town. A large number of printing blocks have been set into the surface of the market place as a memorial to this lost industry. It can also be seen on the village sign. In the late 1990s the town was listed by contributor Robert Woods to The Knowhere Guide as "the most boring place on Earth". The contribution was specifically referring to Wednesday afternoon which is 'early closing' day in Fakenham. Very rapidly the story was running in national newspapers with the town council defending the town and spending considerable time, money and effort trying to prove that this was not the case. 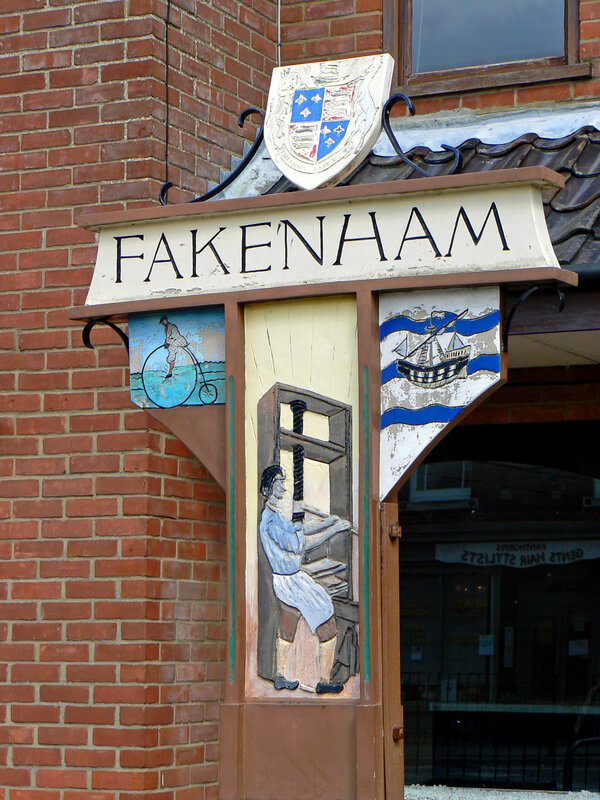 Fakenham was recently voted the seventh best place to live in Britain in Country Life's quality of life survey. Recent investment in Fakenham has seen the town centre being renovated and pedestrianised. It now enjoys a popular farmers' market on the morning of the 4th Saturday of each month.